With its traditional barrel design, Wrangler combines a sturdy construction with many practical details. 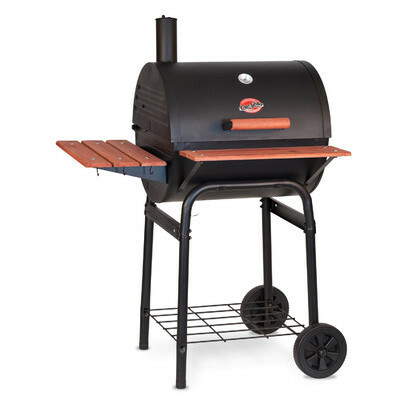 Grill food effortlessly for up to 8 people at once with this barbecue grill. 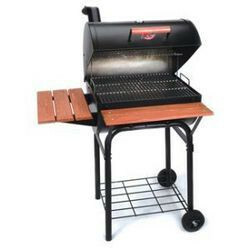 Large 2600 cm2 (52 x 50 cm) grill area - Prepare food for up to 8 people at once. 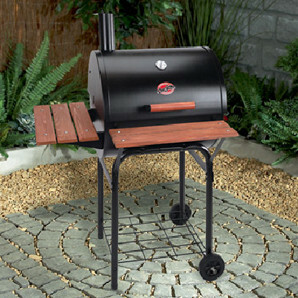 3 x Cast Iron cooking grates - totalling 52cm x 50cm, spreads heat evenly, non-stick and guarantees that unique BBQ taste. Integrated warming rack - Ideal for holding food and keeping it warm. Shelves, at the front, side and below the grill - Practical for holding sauces, seasoning and BBQ tools. Integrated dump ash pan - For easy, hygienic and quick cleaning. Adjustable air circulation - Perfect heat adjustment and control. 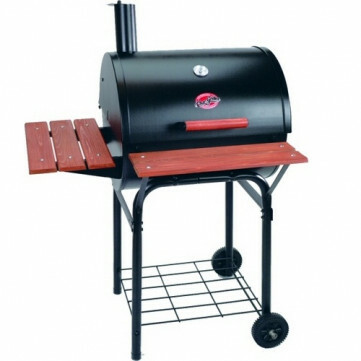 For Click & Collect purposes, this bbq is in a single box measuring 62 cm x 55 cm x 28 cm.